Live! With Kelly and Michael is Everyone’s Workplace | Challenger, Gray & Christmas, Inc.
Celebrity workplaces are just like ours: potential bullying, resentment, surprise resignations, new positions with better benefits and wages, strained co-worker relationships. All of this reportedly occurred on the set of Live! With Kelly and Michael this week. Co-host Michael Strahan, who became the full-time co-host in September 2012, announced he accepted a full time role with ABC’s Good Morning America. Some reports have suggested Ripa’s bullying hastened his decision to leave. Ripa, on the other hand, was apparently blindsided by the decision and shocked at the announcement, prompting a longer-than-planned absence from the show. Upon her return, she gave an on-air speech about respect and communication in the workplace. The understanding was that the differences and hurt feelings between the co-hosts had been mended. If this was indeed a swipe at Strahan, these kinds of microagressions can and often do happen in the workplace. Some surveys found 96 percent of Americans have experienced workplace bullying (VitalSmarts), and 72 percent of workplaces have done nothing to stop it (Workplace Bullying Institute). Regardless of whether the bullying rumors are true, workers across the country are increasingly opting to quit their jobs for greener pastures. 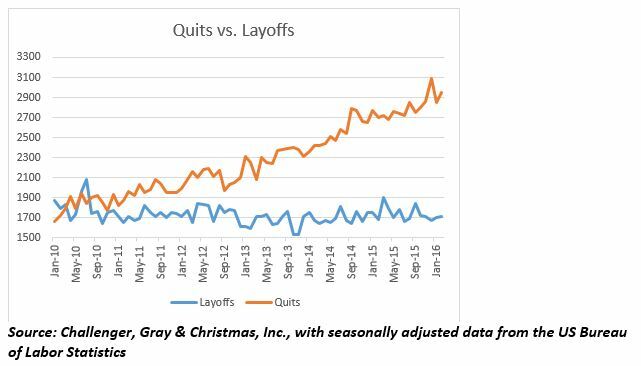 The latest BLS Job Openings and Labor Turnover Survey shows that 2,950,000 Americans quit their jobs in February. That was up 9 percent from a year earlier when 2.7 million people voluntarily left their employer. Like Strahan, who is doubling his income with this move, workers may feel the freedom to leave because they are accepting positions with higher salaries and better benefits. If they happen to work with or for someone with whom they do not get along, either due to bullying behaviors or just a difference of styles, they likely already have one foot out the door.